Sadly, some children live in an unsafe, unhealthy and/or unstable environment. If this describes your grandchild's home, it could be in the child's best interest for you, as the grandparent, to seek legal custody. The only way to acquire legal custody rights is to petition the court. However, the custody laws in each state are different. While it might be possible to obtain custody without hiring an attorney, it is strongly suggested to secure legal assistance, especially if the opposing party has an attorney. Hire an attorney familiar with custody issues law in the state that you will be filing for custody. This should be the state where your grandchild currently lives. Discuss your plans, if possible, with the person currently in custody of the child to find out whether or not they will willingly give up custody. Ask your attorney to be present if you think that will make you feel more comfortable. Document all the reasons why you want custody. It will be very important to show the court that living with you is in the best interest of your grandchild. Get copies of all official reports regarding the care of your grandchild that demonstrate he is living in an unhealthy and/or unsafe home. Let your attorney assist you in getting official documentation supporting your claim. Reports from places like social services and doctors' offices can be difficult to obtain because of privacy laws. Also get copies of any police reports and be sure to check your grandchild's schools for any teacher reports. Write down a thorough description of any negativity between your grandchild and their parents or guardians. Maintain records with dates, times, places and names and contact information for witnesses, if any exist. The more documentation and detail you have, the better your chances of getting custody. File a petition with the court with the help of your attorney. 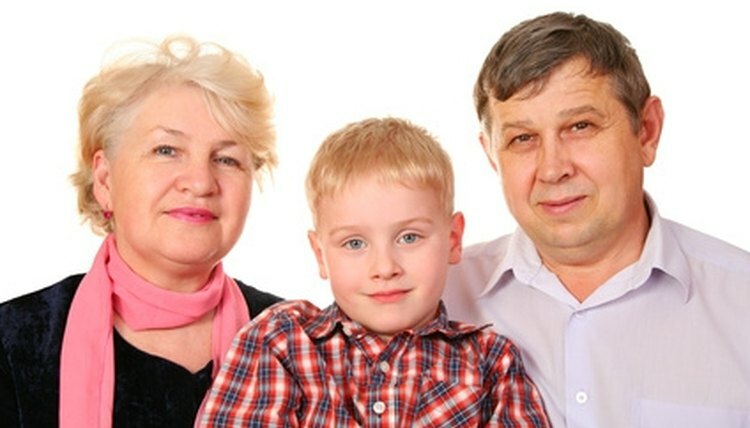 You will need the current address of your grandchild and the person who currently has custody. In the petition you should be asking for custody of your grandchild and also asking for payment for child support. Emphasize in your petition that you feel change of custody would be in the best interests of your grandchild. Give notice of the petition you have just filed to the person currently in custody of your grandchild. Your attorney or the court clerk can help you arrange this. Typically the person who delivers the papers is a law enforcement officer. Be sure you or your attorney obtains the signed receipt, showing that the papers were delivered. Be prepared to show that it is in your grandchild's best interest to live with you. Be open and welcoming to anyone coming from the court to inspect your home. Make sure it is clean and safe. Document your existing relationship with your grandchild. If necessary, get a statement from your doctor that you are mentally and physically capable of caring for your grandchild. Obtain, from your attorney or the court clerk, the name of the judge who has been assigned your case. It might be necessary, in your state, to meet with a mediator before the actual hearing to see if an agreement can be reached. If so, it will simply be reviewed by the judge who will then make it an official court order. If no agreement is reached, there are now several possibilities that depend upon specific state laws. The judge might simply look over the paperwork and make their determination. Or there could be a court hearing where each side is allowed to present evidence and witnesses and, based upon what they hear, the judge will make a decision on custody. Stevens, Diane. "How to Petition the Courts for Custody of a Grandchild." , https://legalbeagle.com/6518671-petition-courts-custody-grandchild.html. Accessed 20 April 2019.